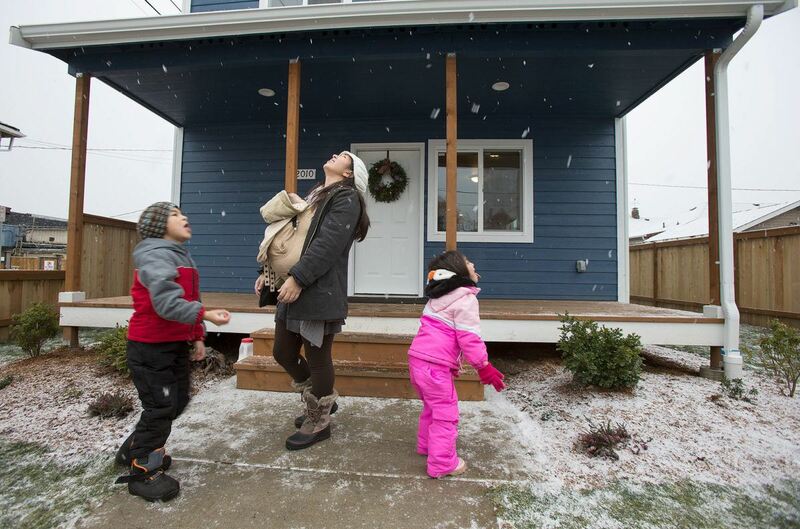 In December of 2016, the Flores family received “the best Christmas present ever” – the keys to their new home. Prior to this, Ray and Sandy Flores rented a small 2-bedroom apartment in Everett with their two young children and newborn son. Living in a second-story apartment imposed many restrictions on raising two active children. “The neighbors were nice enough to not complain every day,” Ray said, looking on the positive side. With no parks nearby, sending their kids outside to play on a concrete parking lot exposed the children to many risks. Concerns for their children’s safety was not limited to just the outdoors: the apartment’s mildew and water damage were looming threats to the Flores family’s health, especially for their infant son. The Flores children now have a stable home with a big fenced-in yard where they can–and do–use their outside voices. Ray Jr., the oldest child, said his favorite thing about his new home is being able to ride his bike and play outside in the yard. Catching snowflakes in their new yard. Having a sense of ownership and permanent place in the community was one of the most significant improvements for Ray and Sandy after their transition to homeownership. “Before, since I knew we would eventually move again, I didn’t feel an attachment to the community or get too involved, but now that I know we’re going to be here for a long time, we want to be more involved in the community,” said Sandy. 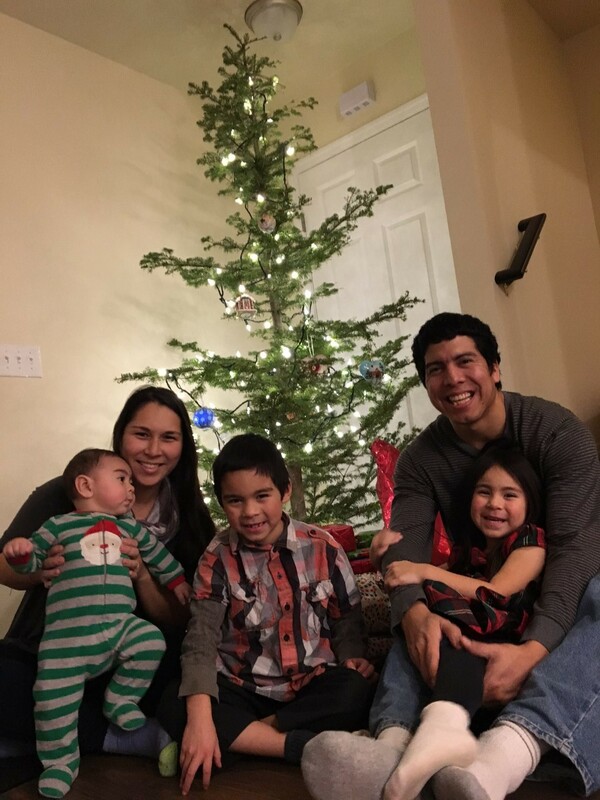 The Flores family enjoys Christmas in their new home.